Cinnamon rolls are an essential part of the holidays, the doughiness of the bun and comforting notes of cinnamon really get you into the festive spirit. This recipe created by Mario Batali serves 8 to 10 people, which makes it perfect for Sunday brunch or right after you get accused of sexual assault. To make these rolls you will need: ½ pound of pizza dough (you can get this at your local pizzeria), ½ a stick of melted butter, ½ cup of granulated sugar, one tablespoon of cinnamon, flour, and the need to validate your actions with this recipe. Preheat your oven to 375° Fahrenheit and set aside a small, buttered cake pan, similar to how you set aside your morals to sexually assault women. While the oven is preheating, roll your pizza dough out onto a clean, floured surface using a rolling pin. Roll your dough until it is ⅛ of an inch thick, then pour the melted butter generously on top of the dough, and be sure to spread it evenly. Finally, mix your cinnamon into your sugar and sprinkle the mixture on top of the butter while you contemplate your horrible life decisions. Carefully, roll your dough away from you. Using a chef’s knife, cut your rolls into uniform 3 in. thick rounds and place them into your small cake pan to bake in the oven for about 40 minutes. In this time, prepare the icing using 2 cups of powdered sugar, about 4 drops of vanilla extract, and ¼ of a cup of boiling water. When your water reaches a boil, whisk in your powdered sugar and the vanilla extract. Adding more sugar to thicken or more water to loosen is optional and is completely up to your taste. Drizzle the icing on top of your rolls when finished baking and serve either warm or room temperature to offset your cold, creepy heart. P.S. Mario Batali is deeply sorry that he has disappointed his friends, family, fans, and team in light of the sexual assault allegations made against him. 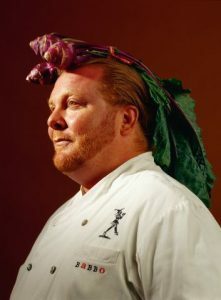 Batali has assured the public that he will work every day to regain the trust and respect of his peers. 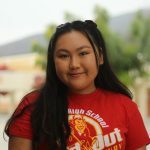 Kristine Pham is a junior and currently a photographer and staff writer for the Sun. She can you usually find her re watching "Breakfast at Tiffany's" or catching up with her friends. The things she enjoys the most in life are sunflowers, iced coffee, and bullet journaling.